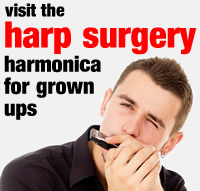 The Silver Star is a standard gauge 10 hole diatonic harmonica. We use it because it is affordable, reliable and well made. For these reasons it’s a great way to graduate from our starter Speedy and Airwave harps. A Silver Star is included in our KS3 Starter Packs. The biggest difference graduates from KS2 will notice is its smaller hole spacing, which does mean that those tiny muscles around the mouth and lips (embouchure) will need re-educating. But this won’t take long and the note layout is exactly the same as the 10 hole Suzuki Airwave. The advantage of closer hole spacing is that tonguing techniques such as octaving and note playing can be more easily mastered. The shorter harp also means that advanced key skills such as reed bending, cupping and chord playing can be more readily learned. We supply Silver Stars in the key of C major, but they are also come in the major keys of D, E, F, G, A and Bb. Students may eventually like to try out alternative Silver Star keys and start building their collection of more expensive models and brands. There are also several other types of diatonic and chromatic harmonica ready for investigation. Take a moment to browse our Store. As with the 10 hole Suzuki Airwave, the Silver Star is unlikely to need much maintenance, however reeds can occasionally block or go out of pitch. For further advice, visit our Maintaining Your Silver Star page.